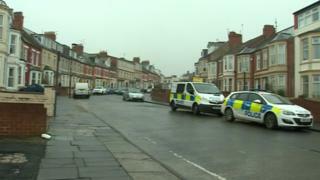 Police investigating the murder of a man at his North Tyneside home have arrested a woman. Matthew Davis, 39, was found dead at the property in North Parade, Whitley Bay on Friday. Northumbria Police said a 29-year-old woman was being held on suspicion of assisting an offender. Five men were arrested on suspicion of murder, and two have since been released with no further action, with three continuing to be questioned.